The exact ancestry is most likely Lower Austria; Lake Como in Italian Lombardy is unlikely. 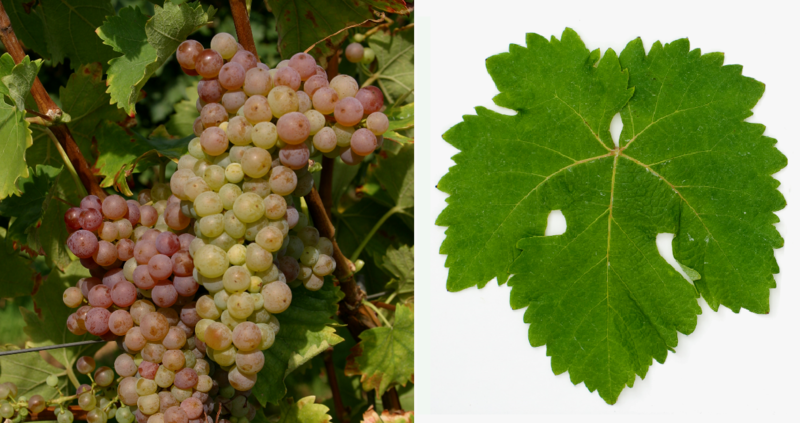 The medium to late ripening, slightly unsustainable vine is sensitive to frost, as well as vulnerable to Botrytis and wrong mildew, The synonym "Spätroter" derives from the fact that the berries only turn reddish when fully ripe. It produces extract rich, strong alcoholic, acidic white wines with spicy aromas of orange and peach, as well as very good aging potential. In Austria, the vineyard covers 85 hectares, of which 79 in the wine-growing region Thermenregion; especially in the community Gumpoldskirchen (therefore also Gumpoldskirchner). Here she will be happy together with the variety Rotgipfler (with the same parents, by the way) to the local specialty Spätrot-Rotgipfler blended. In Hungary are planted with 32 hectares. In 2010, a total of 117 hectares of vineyards were reported (Kym Anderson ). This page was last modified at 11 December 2018 at 18:11.